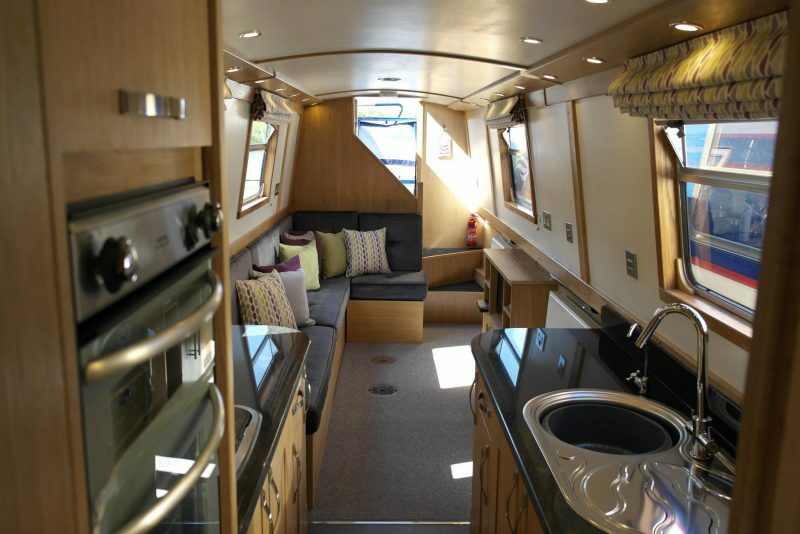 Aqua Life is a contemporary and superior 57ft narrowboat of reverse layout design. The interior is of a modern design that has a bright and contemporary feel. 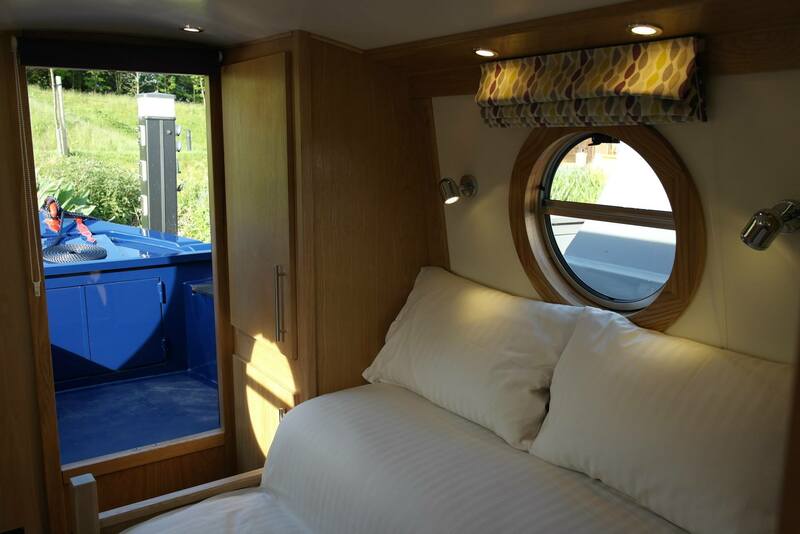 Internally at the bow there is a cabin with a double cross bed with wardrobe; a partition doorway leads straight into the walkthrough bathroom with a full size shower cubicle, macerator toilet and basin with granite worktops. A further partition door leads into the centre cabin with twin beds that can be converted to one double and a full size wardrobe. A door leads you through to a beautiful galley area with granite worktops. The area is equipped with full size fridge as well as an oven, hob, microwave. The saloon area has a large sofa, tables can be added to adapt into a dining area, plus the seating can be transformed to make a double or twin beds to sleep 2 extra people. 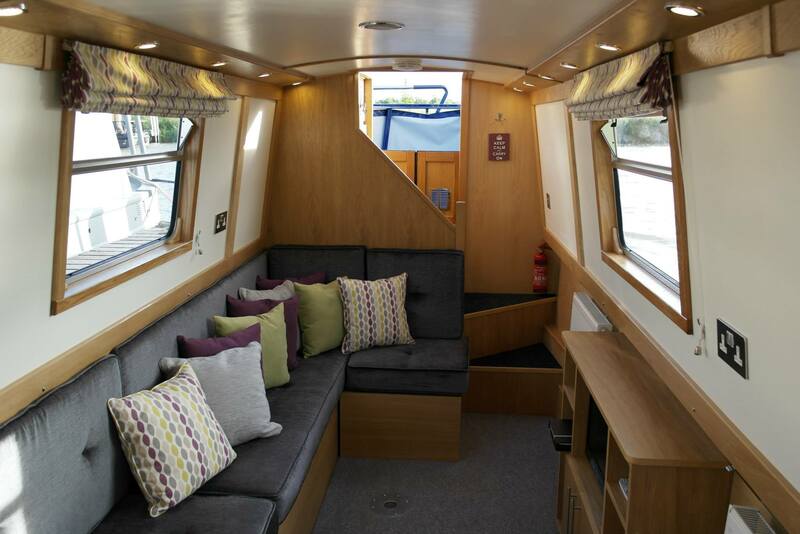 This semi cruiser stern has two large seat lockers creating a lovely area to relax and chat whilst cruising. Aqua Life is centrally heated, has 230v mains power and the engine is fitted with hospital silencers, to ensure a quieter and more refined cruise. 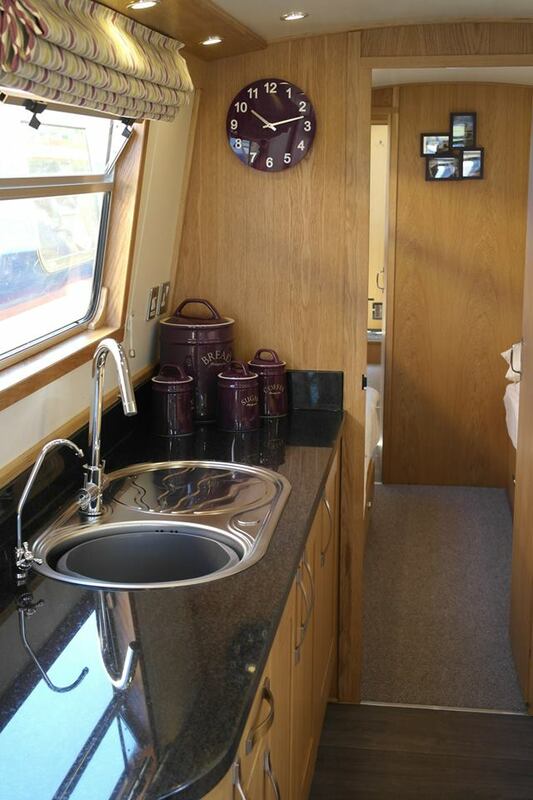 Click here to view a short video of the narrowboat interior. Top of the range Victron 3000va/120amp inverter/charger – no expense spared on our hire boats! A well maintained, loved and cared for boat, handles superbly and has a nice quiet engine. Would make a great family boat or even a live-aboard with a few tweaks. 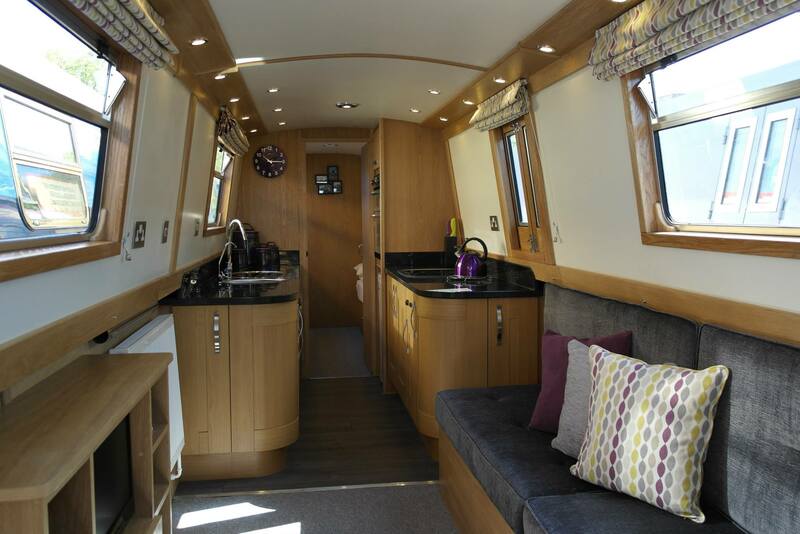 Comes complete with inventory, eye level oven, hob and fridge (new 2017) as well as microwave, pots, pans, crockery, cutlery, 2 TV/DVD’s and complete mooring and cruising kit! Just bring your clothes and food and you’ll be ready to go!